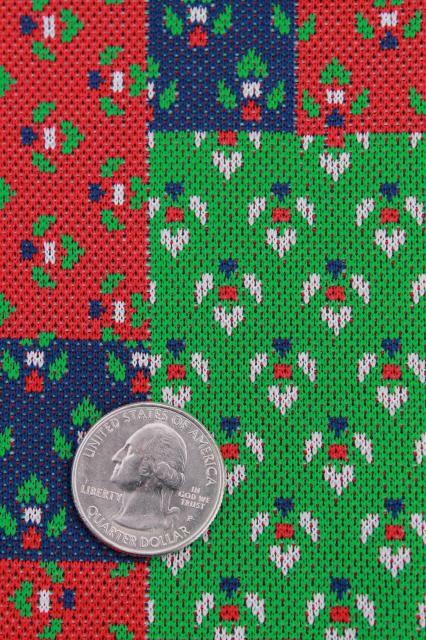 Lot of 70s or 80s vintage polyester doubleknit fabric with Christmas red and green colors... good fabric for tree skirts, giant stockings, holiday table covers or holiday pantsuits! 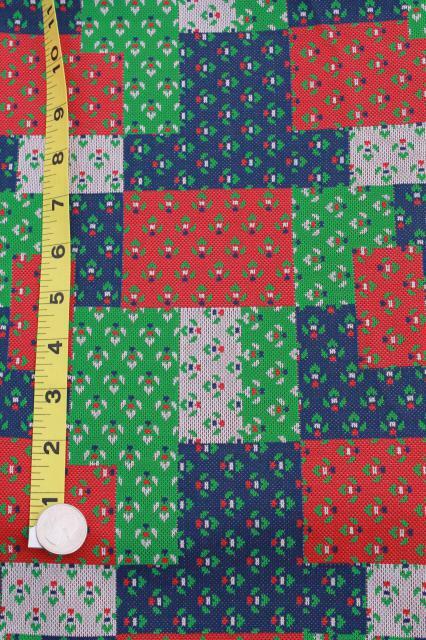 The patchwork quilt pattern fabric is 62" wide x 3 yards. 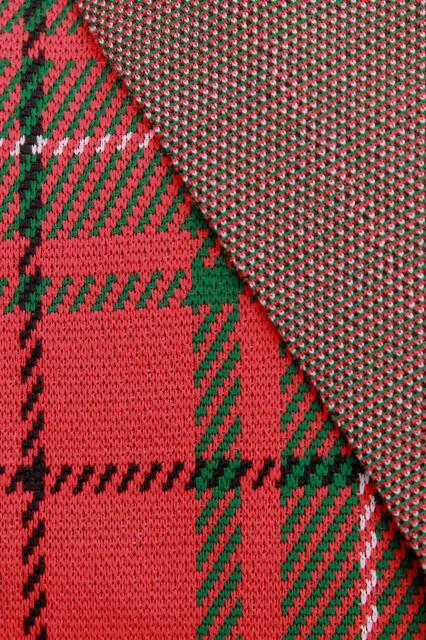 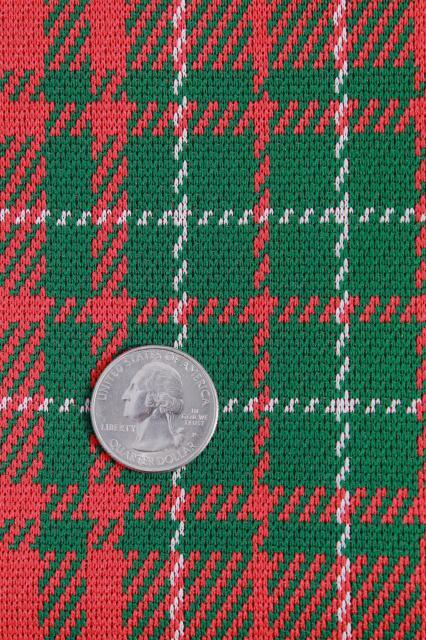 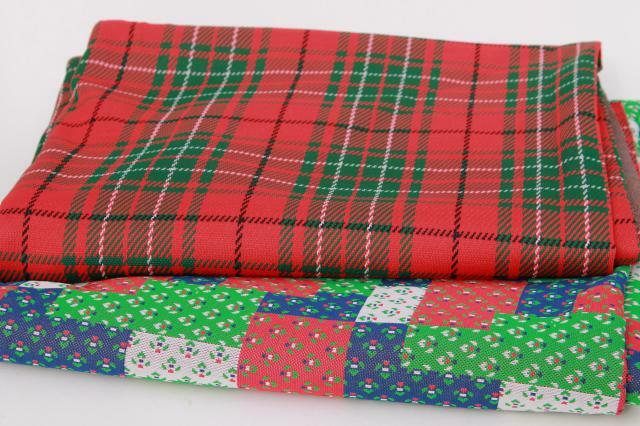 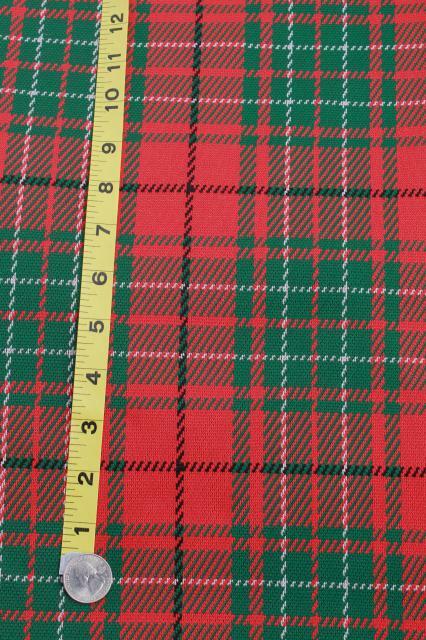 The tartan plaid is 64" x 2 1/2 yards. 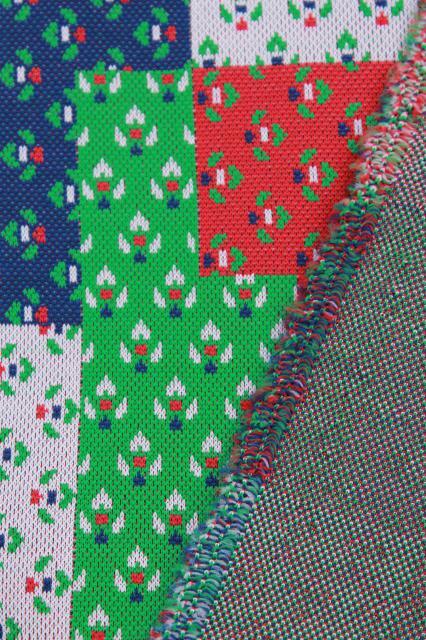 It's all in very nice clean condition.